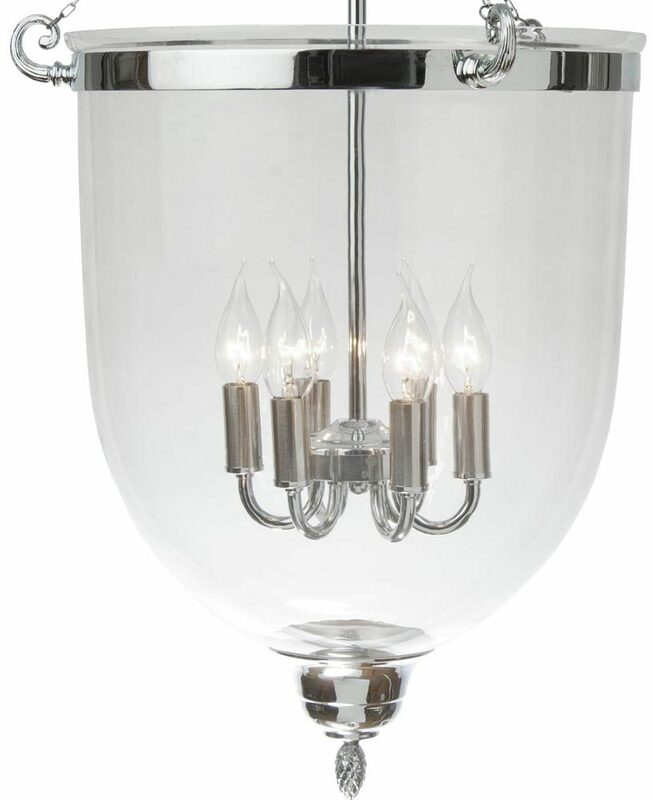 A very large polished chrome 5 light Georgian glass hanging lantern, a classic design featuring mouth blown glass and bright chrome metalwork. Circular ceiling mount and height adjustable chain suspension supporting a central rod, large glass top sconce and circular shade frame on chains. 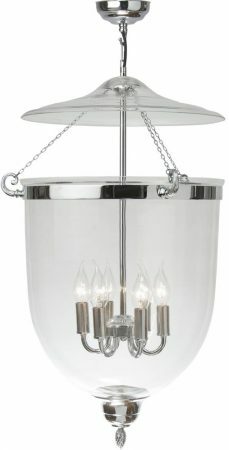 The very large mouth blown clear glass shade is contained within the shade ring and houses five candelabra style lamps. Minimum height 72cm, maximum drop 200cm. Please note that this glass is completely hand crafted and may contain small air bubbles, as would the originals. This is not a fault in manufacturing but part of the nature of hand made glass products. Perect for any period property and well suited to hallways, landings, galleried spaces or any other room with sufficient ceiling height. A very large polished chrome 5 light Georgian glass hanging lantern, entirely hand crafted in Great Britain to the highest standards.